The Graham Motor Company was founded by brothers Joseph, Robert and Ray Graham in 1919. The company began by producing kits to convert Ford Model T and TT cars into trucks and as such did quite well moving on to making trucks using other engines, primarily Dodge. Dodge purchased the Graham Brother’s company in 1925 providing all three brothers with executive positions at Dodge. In 1927 Chrysler Corporation took over Dodge and kept the Graham brand active until 1929. However Joseph, Robert and Ray Graham decided to leave Dodge/Chrysler and get back into independent manufacturing again. So they purchased the Paige-Detroit Motor Company in 1927 and began to make and sell cars under the Graham-Paige brand. Using body panels from the original Cord dies and an in-line six cylinder engine with a crankshaft driven supercharger the Graham Hollywood Supercharged had the highest power to weight ratio of any American car of the time. After successfully manufacturing cars of their own design including the “Blue Streak” supercharged straight eight powered models of 1932 which had been designed by Amos Northup, Graham-Paige began to run into financial difficulties as the effects of the Great Depression wore on. 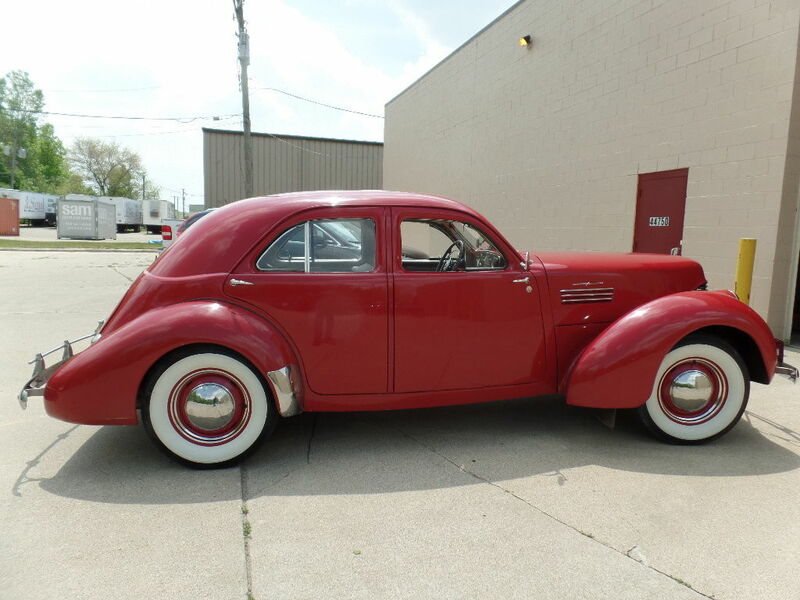 So they entered into a partnership with Hupp Motor Company in 1939 to create a new model using the dies and tooling which Hupp had acquired from Auburn Motor Company when they had gone bankrupt. The Cord rear bodywork is obvious in the Graham Hollywood. The car was created using the original Cord 810/812 dies. Graham did not try to incorporate their own Blue Streak straight eight into the car but instead used a six cylinder engine in either conventionally aspirated or supercharged versions. The conventionally aspirated car being called the Graham Hollywood and the version with the crankshaft driven supercharger the Graham Hollywood Supercharged. 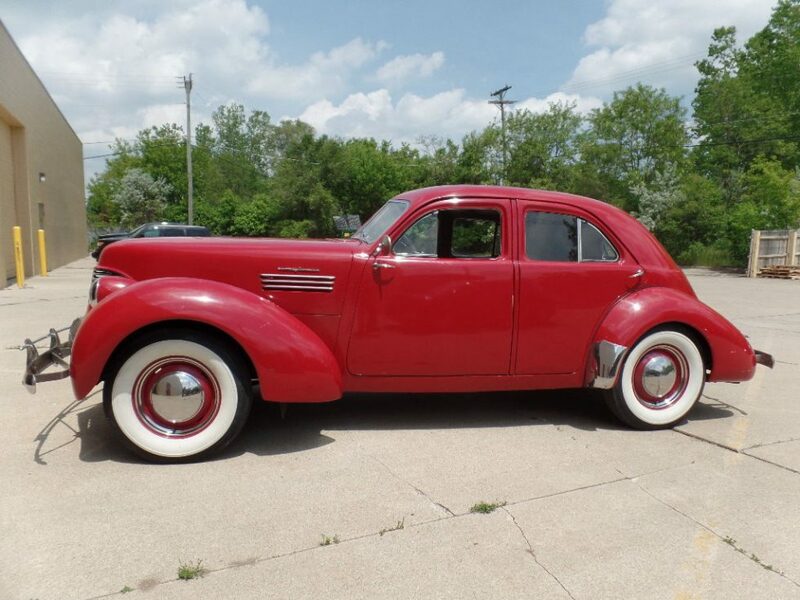 The styling of these cars is a very attractive mix of Gordon Buehrig Cord 810/812 from the passenger compartment to the rear, and a front end designed by John Tjaarda (father of Tom Tjaarda the designer of the DeTomaso Pantera) who had designed the Lincoln Zephyr of 1936-1940. John Tjaarda’s design for the front of the Graham Hollywood blends perfectly with the Gordon Buehrig Cord rear. So the Graham Hollywood brings together the work of two of America’s greatest designers into one of the best looking American cars of the late thirties. The Graham Hollywood Supercharged is also one of the more rare American cars of the late thirties and early forties. 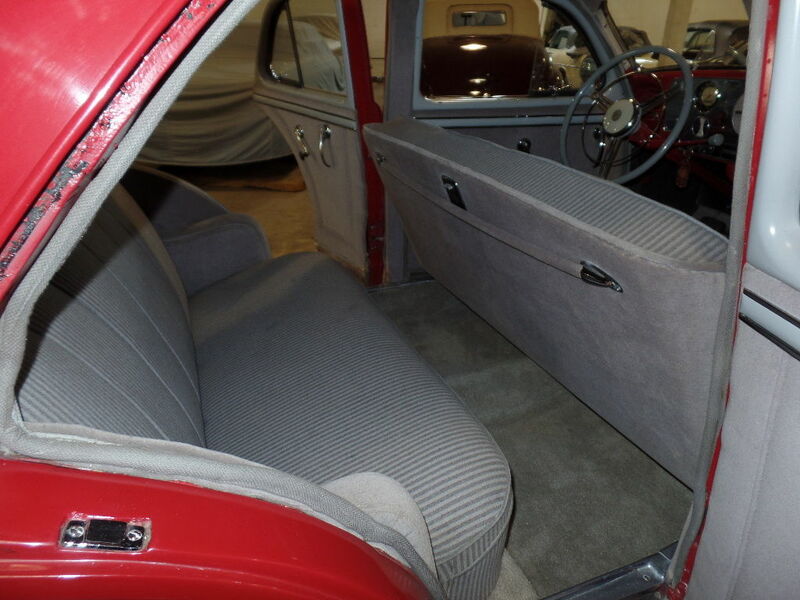 The interior of the car is very Cord like. In conventionally aspirated form the Graham Hollywood 217.8 cu. in. 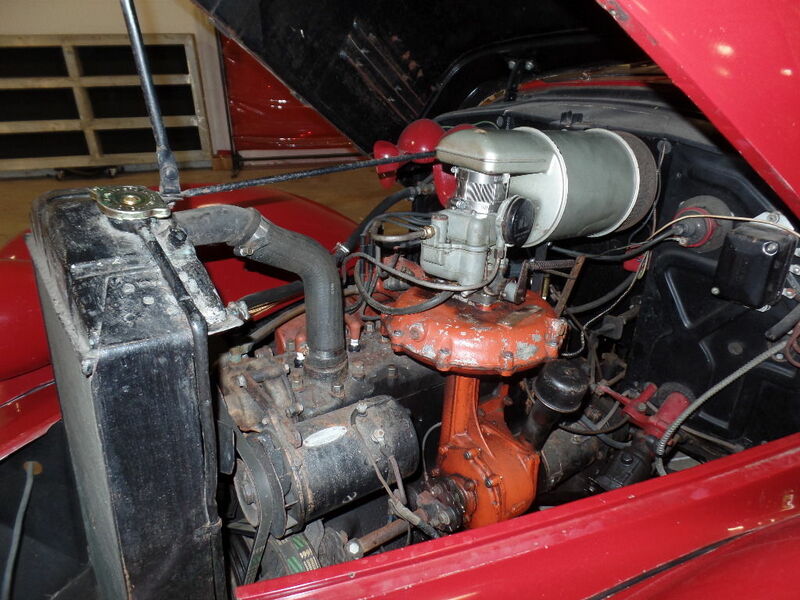 engine produced 95hp but with the crankshaft driven supercharger the engine power increased to 124hp giving the Graham Hollywood Supercharged the highest power to weight ratio of any American car of the time. Above and beyond that the quality of manufacture of Graham cars was kept high and these cars are lively to drive and handle well by comparison with their peers of the time. 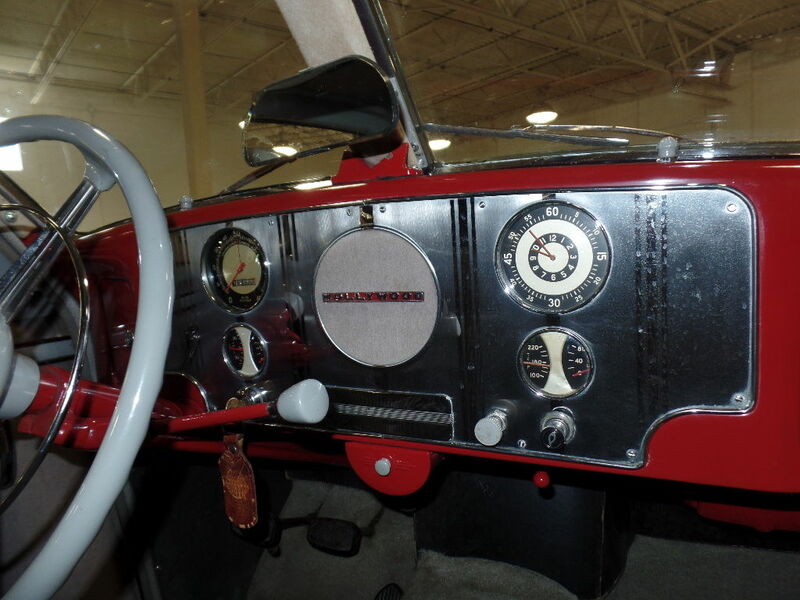 The interior of this car was restored in the 1980’s but is in very nice condition despite its age. Despite its being a highly desirable car the Graham Hollywood Supercharged did not save the Graham company. Although the car got a very large number of orders the factory was unable to meet those orders in good time and so most orders were canceled. The Graham company itself survived however and dropped the “motors” of its name and went into the real estate business buying the Rooseveldt Raceway and a controlling interest in the old Madison Square Garden. So Graham-Paige Motor Corporation didn’t so much die as “gently fade away”. 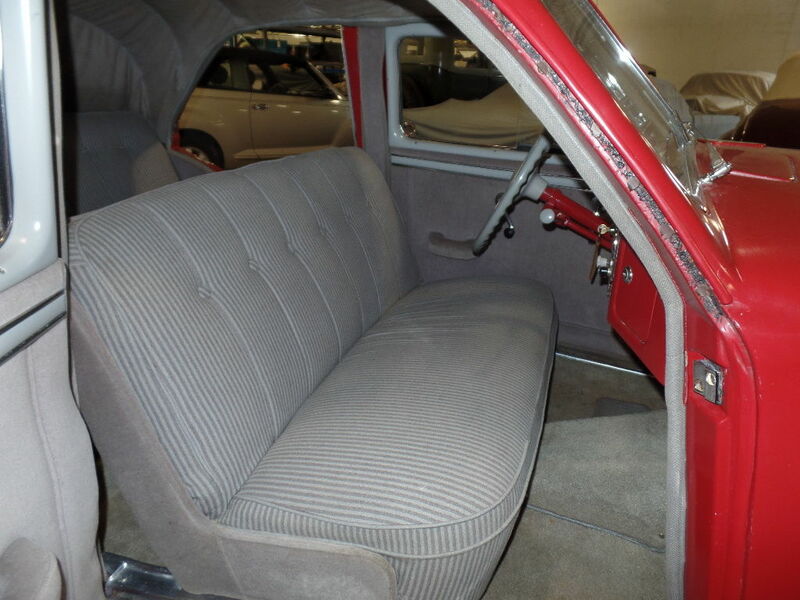 The rear seat offers a nice amount of leg room. Note the transmission tunnel which the front wheel drive Cords did not have. 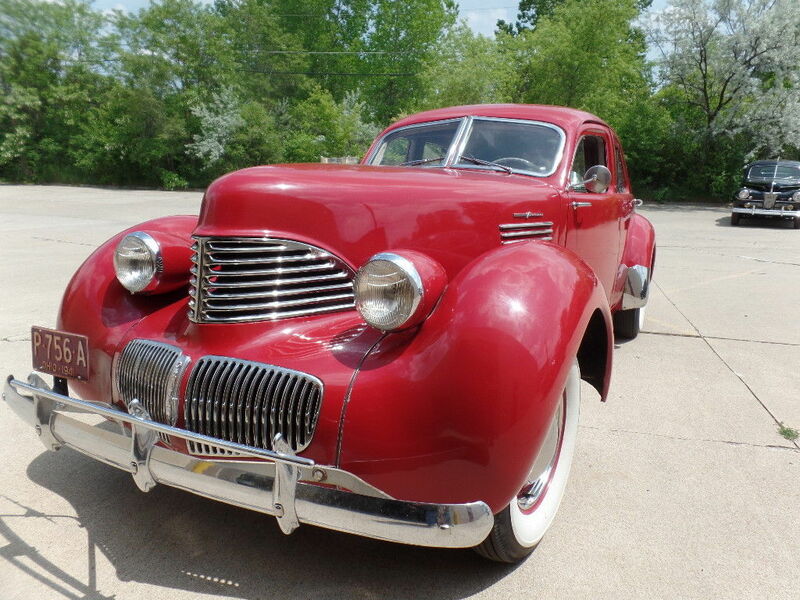 Our feature car is a 1941 model and is up for sale on eBay at time of publication. The car was restored in the eighties and looks to be in good order although the paintwork has aged and needs re-doing. The red color is apparently original so it would be best to re-finish it in its factory red color. You will also find this car on Bring A Trailer if you click here.